Fox Valley Technical College has been proclaimed the Bakery Operation of the Month for January 2018 by the Wisconsin Bakers Association (WBA). The technical college earned the honor for hosting the WBA’s Winter Bakers Forum this month. Bakers Forums are networking and educational events for WBA members and other baking industry representatives. During the Winter Bakers Forum, attendees took a tour of FVTC’s campus including a visit to Ione’s, a student operated restaurant, and the Jones Dairy Farm Culinary Theater. Chef Jen McClure demonstrated how to make gum-paste flowers and Chef Julia Steinhiser led a presentation on the advantages of scratch baking in addition to making and using your own flowers for decorating. Attendees at the forum participated in a discussion about employment opportunities and challenges in today’s baking industry. 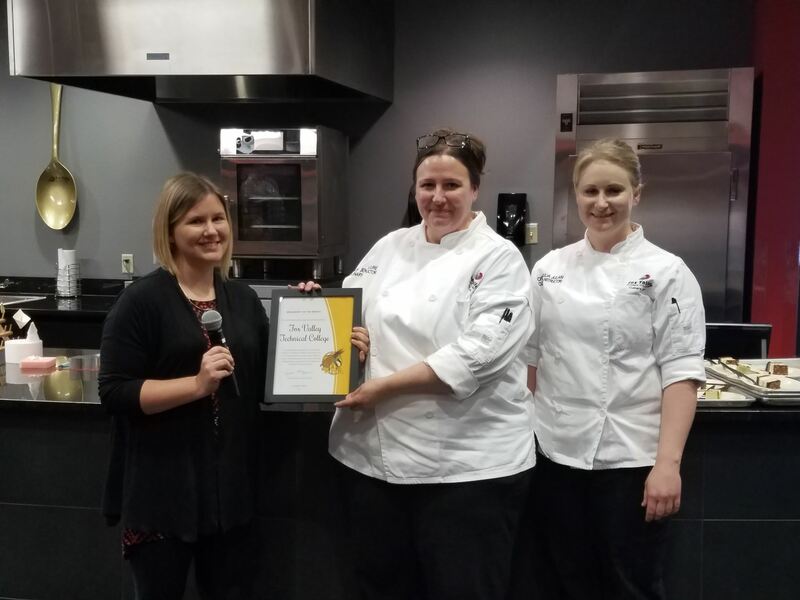 The Bakery of the Month Award was presented to Chef Julia Steinhiser and Chef Jen McClure by WBA’s Executive Director, Jessica Hoover. Fox Valley Technical College offers a Technical Diploma in Baking & Pastry Production. The hands-on program prepares students for a career in the bakery field.